After a decent opening, last Friday released suspense thriller Mom picked up impressively well and completed first week on a good note at box office. Veteran actress Sridevi, Nawazuddin Siddiqui and Akshaye Khanna starrer this film received positive reviews from critics as well as audience, that created good word of mouth for it. In the opening weekend, Ravi Udyawar’s directorial did the business of 14.40 crores, that included 2.90 crores of Friday, 5.08 crores of Saturday and 6.42 crores of Sunday from 1350 screens across the country. Then in weekdays despite normal working days, it remained steady and collected 2.52 crores on Monday, 2.74 crores on Tuesday and 2.23 crores on Wednesday. On the last day of week i.e. Thursday, Mom minted 1.91 crore and made it’s one week domestic total as 23.80 crores. 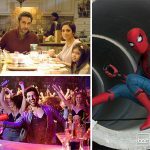 While the another Hindi offering Kartik Aaryan, Kriti Kharbanda, Paresh Rawal and Tanvi Azmi starrer Guest Iin London got mixed reviews from viewers and raked an average business of 7.95 crores in the opening weekend, with 2.10 crores on Friday, 2.75 crores on Saturday and 3.10 crores on Sunday. 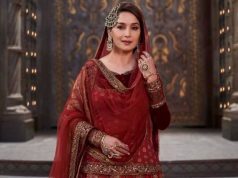 Then in weekdays, Ashwni Dhir’s directorial witnessed usual drops and collected the amount of 0.85 crore on Monday, 0.70 crore on Tuesday, 0.55 crore on Wednesday and 0.40 crore on Thursday. After a week, total collection of Guest Iin London is recorded as 10.45 crores at domestic box office. On the other hand, Hollywood’s much buzzed Spider Man Homecoming received positive response from everyone and leading among all new releases from the first day. 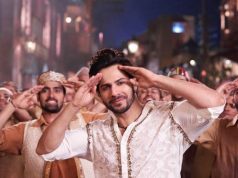 In the opening weekend, it fetched the amount of 28.66 crores, that included 2.16 crores of Thursday’s previews, 7.20 crores of Friday, 9.60 crores of Saturday and 9.70 crores of Sunday. 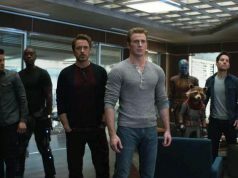 In weekdays, this American action adventure film faced drop but still remained good and collected 4.50 crores on Monday, 4.15 crores on Tuesday, 3.75 crores on Wednesday and 3.40 crores on Thursday. 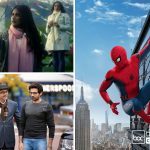 With this, total opening week collection of Spider Man Homecoming in India, has become 44.46 crores.